No surprise that largest miner headquartered in London is Anglo American, with a $19.83B market capitalization. The storied miner, the world's largest producer of platinum, was kicked off 100-years-ago by Sir Ernest Oppenheimer. 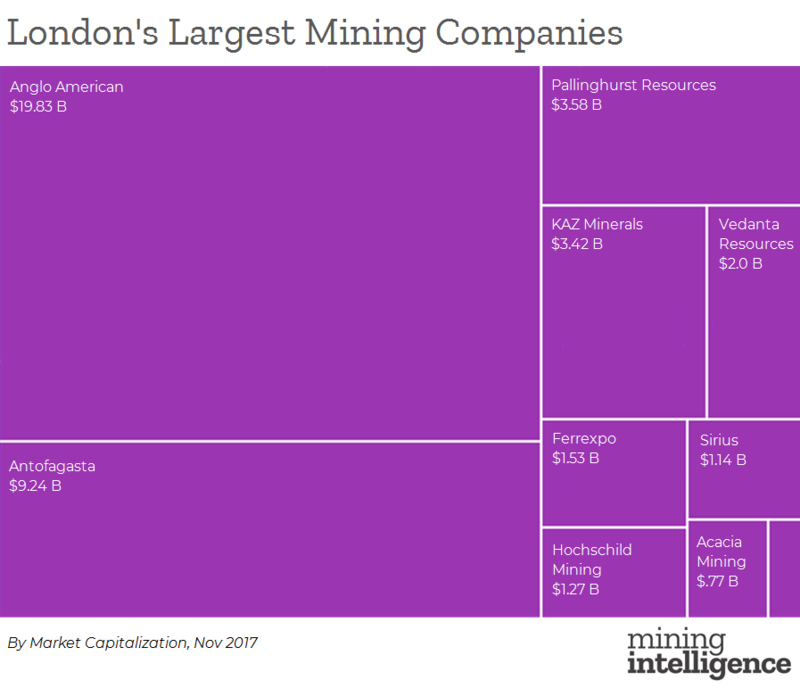 There are 92 mining companies that are publicly-listed and active in London, putting the city fifth on MINING.com's list of top mining destinations. There are only 8 companies in London that crack the $1B valuation. Toronto has about double the amount of companies in the same billion-dollar bracket. Creative Commons image of London from Wikipedia.